Summer is a time you can see all your friends out and about, couples walking along the beach boardwalk and Icecream shops jam packed with lines outside the door. I've team up with Banana Republic to showcase some of their latest summer styles. All opinions are of my own and do not reflect the Banana Republic team. One thing everyone loves about summers are seeing the beautiful flowers that blossom right? 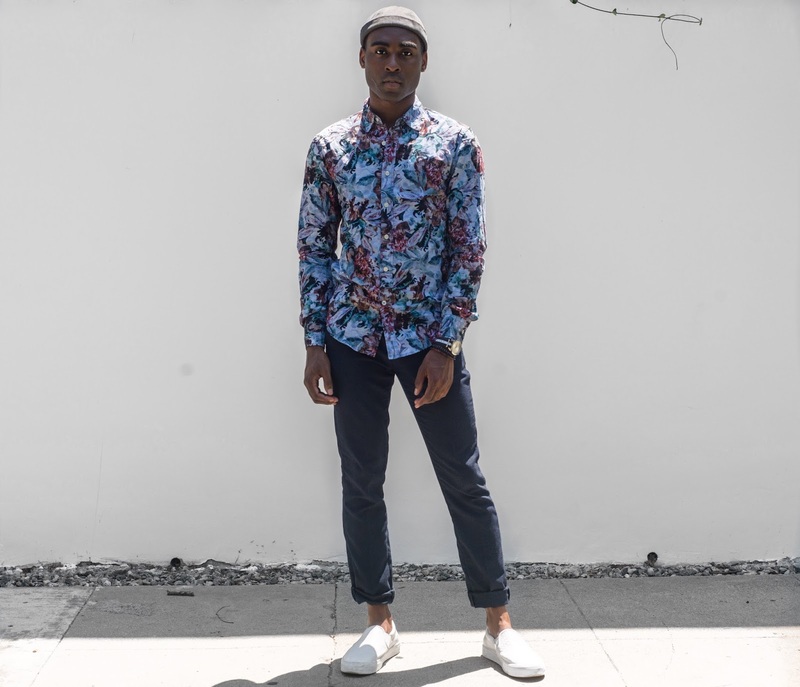 I'm a huge lover of floral prints and I think every guy should have at least one cool floral shirt right? 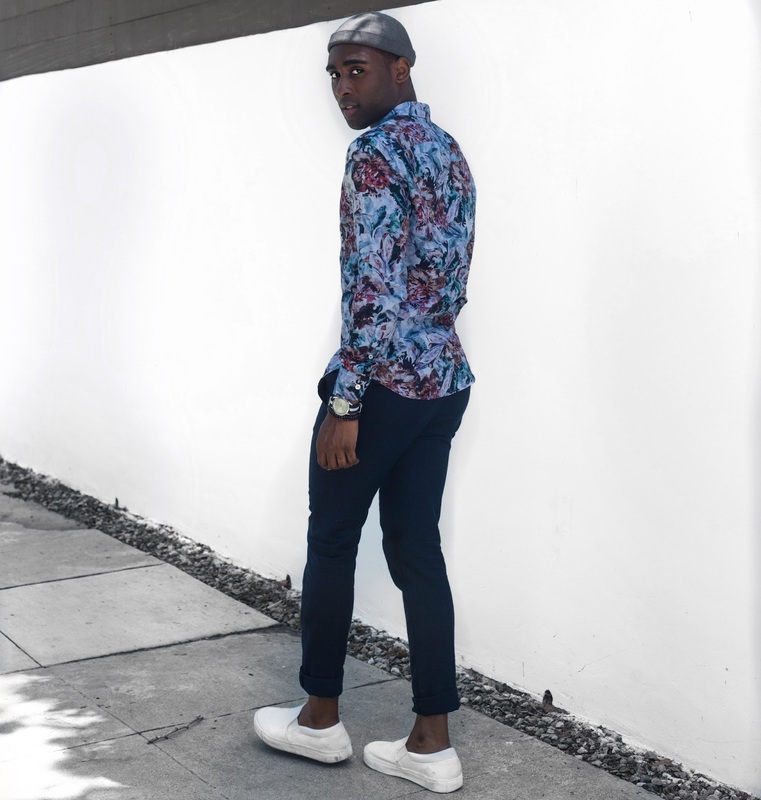 I mean there are so many options for women such as jumpers and dresses, I’m sure there are a lot of men that are skeptical about wearing floral shirts as it might seem to feminine but there are several ways to successfully pull it off. I think florals are best worn either as a matching set or worn separately as a top or bottom I would avoid mix & matching different floral prints or it just might end up looking like a blooming mess. For my look I was going for a more classic approach that I could wear for lunch with friends or to a meeting. 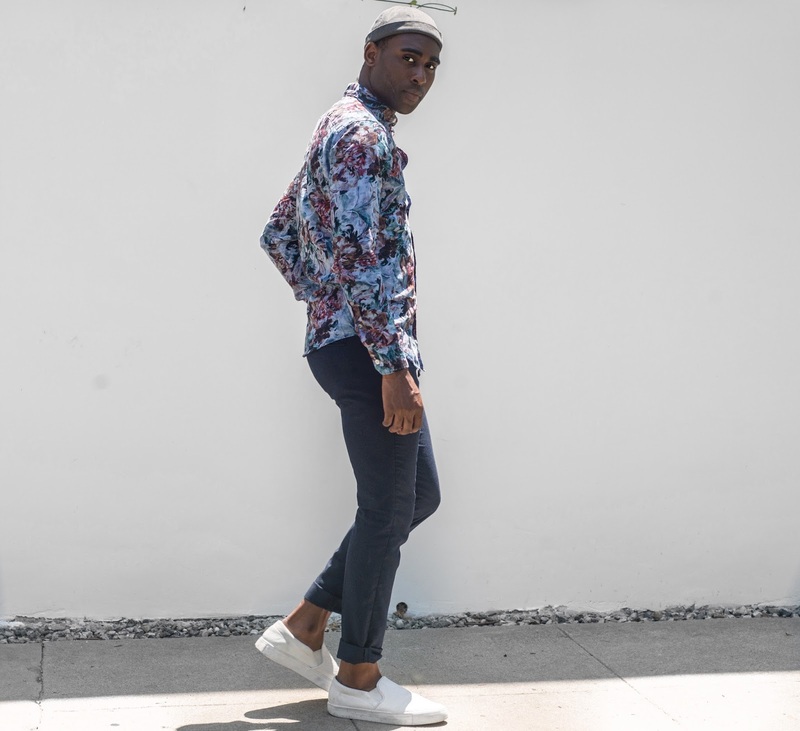 I paired up my Slim-Fit Floral Shirt with some some dark blue trousers, I didn't want to look overdressed yet not undressed so I wore white sneakers for a more fun versatile look or if you could throw on some loafers is sneakers are too casual for you. 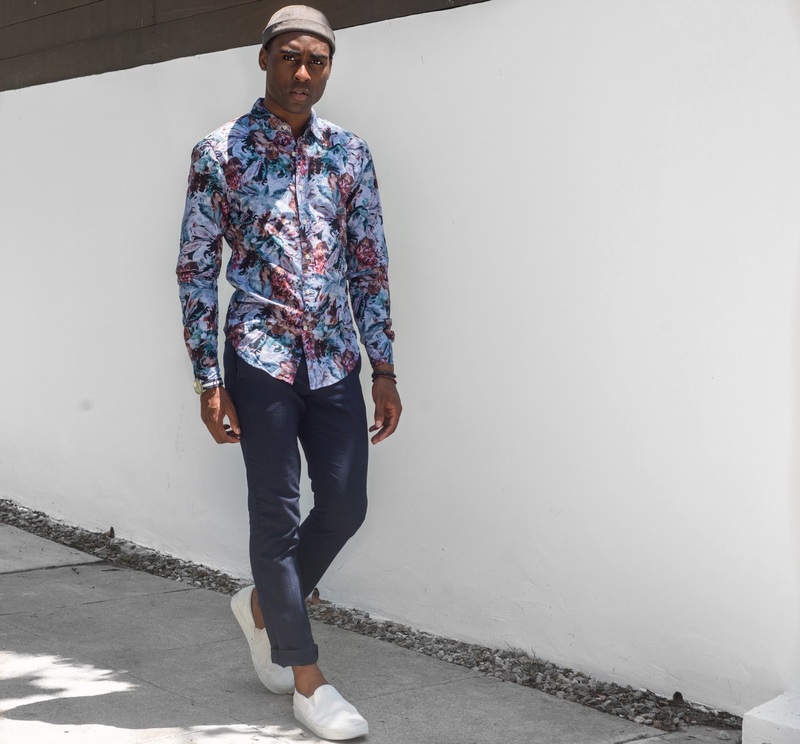 What do you think about guys wearing Florals is it a yay or Nay? Join in showcasing your #SimplySophisticatedSummer style along with the other hashtags #Itsbanana you might even get reposted on the BR Instagram page.